Recently, Lauryn Hill had to cancel a show in Lagos, Nigeria, after a promoter failed to come through with travel arrangements. But that doesn’t mean those good people won’t be getting any love from the queen. 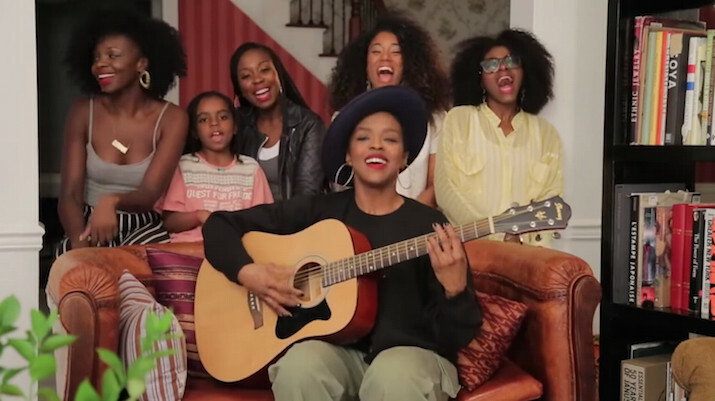 Yesterday, Miss Hill brought together some other lovely voices to offer Nigeria a little musical consolation via the internets, performing a short, but oh so sweet acoustic take of “Doo Wop (That Thing)” live from her living room floor. 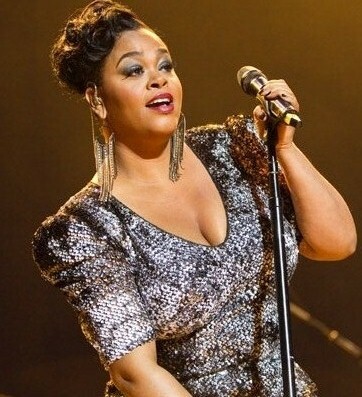 Jill Scott is roaring back at full speed. A few months ago, we were treated to her lovely and infectious blues-soaked ballad “You Don’t Know” and just yesterday we got the eerily Dilla-fied single “Fools Gold” (to be clear: NOT DILLA.) And today, we’re pleased to let y’all know that the queen will be taking to a stage near you this summer, embarking on a headlining stateside tour that will commence in Pittsburgh on July 13th and come to a close in Phoenix at the end of August. Check out the dates below and jump back to peep Jilly from Philly’s latest joints. 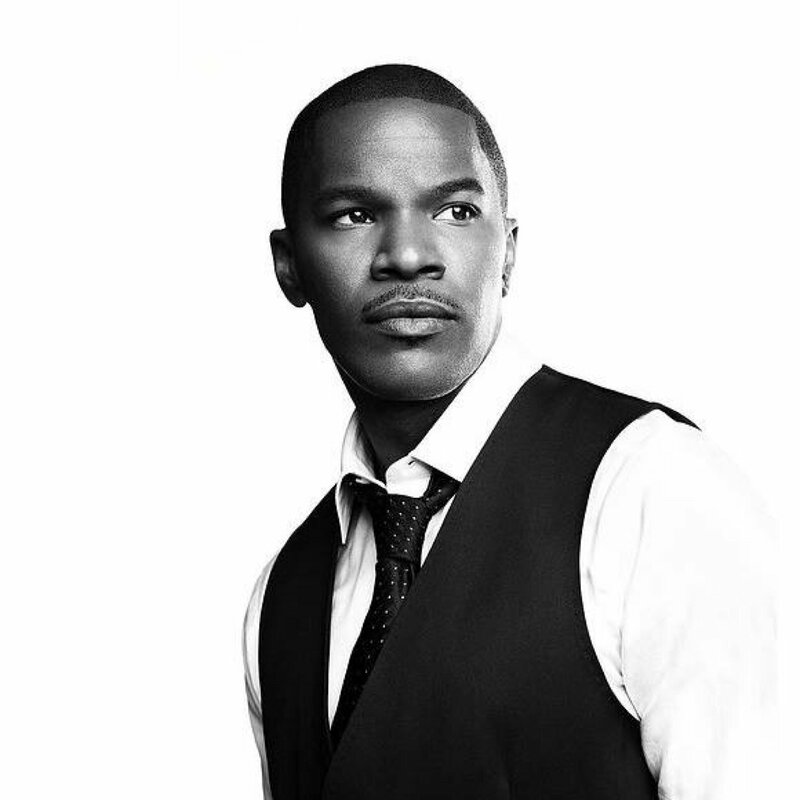 Nowadays Jamie Foxx is sailing smoothly as a recording artist, but it wasn’t always that way for the actor-comedian-vocalist triple threat. 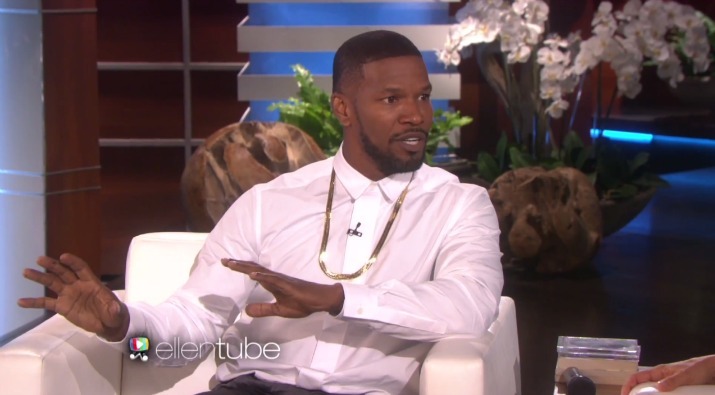 Foxx paid a visit to the Ellen Show yesterday and briefly explained how, after many years of trying, he finally found success in the music world. Foxx, it seems, had been trying to break through as an R&B singer ever since his days as a cast member on In Living Color. But the closest he ever came to making it was dashing after producer/composer legend Teddy Riley, pitching his demo cassette tape while dressed up in drag costume between taping takes. Needless to say, it wasn’t the best look for Foxx, and the actor would have to wait a few more years before hitting his singer stride. Opportunity came knocking, literally, during a gathering at Foxx’s house. 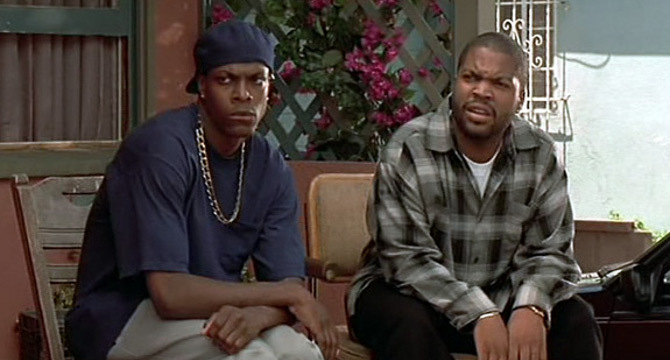 “One day I had a house party and a dude walked in–he had a backpack on, and his jaw was a little swollen. Who was it?” The audience replies: Kanye West. Foxx was told by friends “He’s the next rapper, he’s the next producer,” and couldn’t pass up the chance to bring the young West into his own personal studio and perform. At that moment, Kanye’s talent made an immediate impression on Foxx, and the two set to work recording “Slow Jamz” on the spot. had him perform and saw his talent immediately. West said he had a song for him. That’s what became “Slow Jamz.” “Just sing it simple, hip-hop is different” Foxx said, remembering Kanye’s advice when it was time for him to sing the hook. But it took another certain West collaboration to fully christen Foxx’s musician status. Mutual friends contacted him years later, promising Kanye had “a missile” ready in the studio. Foxx made tracks to the studio and arrived just in time to collaborate a funky work in progress that eventually became, yes, “Gold Digger.” Watch as Foxx tells the story himself below, and catch his recent interview with Hot 97 if you’re eager for even more career backstory from the funnyman. 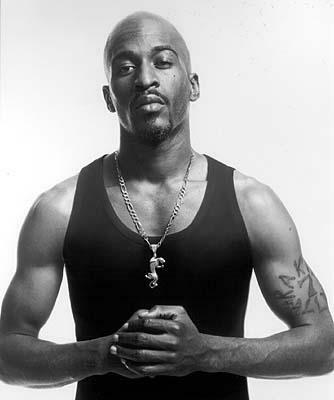 It isn’t all too often that we get to catch up with the gawd Rakim. But thanks to the good folks at MONTREALITY, we’re being treated to some wise words from the microphone fiend, championing the new wave of culturally conscious emcees and touching on the status of his next record, which will mark his fifth solo outing and ninth overall. In regards to the latter, Ra claims the new record is one where he can dial things down a bit, taking his time to have some fun with it, but also seems to be piecing it together still, searching for producers and collaborators that will create the appropriate dynamic for the record. Now, when it comes to the youngins gunning for his thrown, the Long Island MC was visibly humbled (though always stoic) and encouraged the likes of Kendrick Lamar and J. Cole to keep up with the torch as the burliest of grammatical athletes in the game today. Ra also delivers a message to the youth and assures us all that he’s still as sharp as ever. Watch the video below. But it was towards the very end of the 30-plus minutes on the air that things got particularly interesting, as he began to divulge tidbits about his forthcoming role as Mike Tyson in a biopic treatment helmed by Martin Scorsese. Foxx sells this thing like a pro, providing a wonderfully vivid description of the film’s opening scene. After those tight two minutes, you’ll be aching for a chance to put your eyes to it. He also gives proper regard to Eddie Murphy for providing the blueprint for success in other realms of entertainment and dishes out smiles for miles with countless, seamless impersonations. You can watch Jamie Foxx chop it up with the Ebro In the Morning crew below, just be sure to stay tuned for more on the film as details continue to roll out.